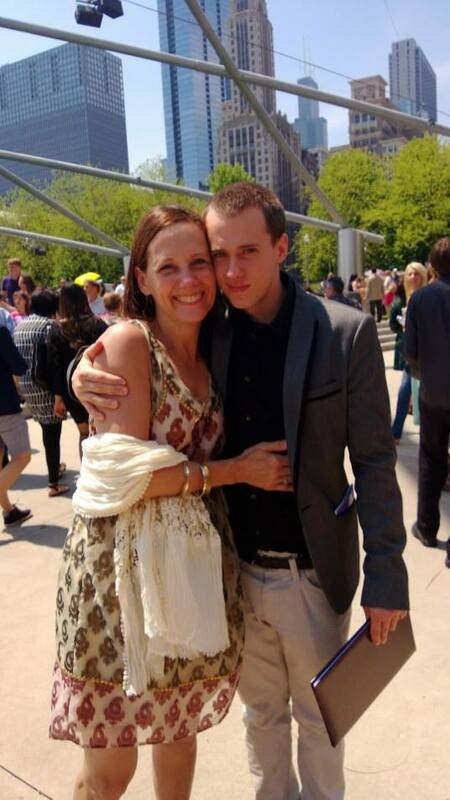 The man, the myth, the legend…Sam Matson graduates from SAIC! If you’ve been to the SAI studio in the last twelve years, you’ve probably heard about Sam Matson. At only 10 years old, Sam started taking classes from Dianne and emerged as somewhat of a child prodigy. With incredible patience and attention to detail, he began his artistic legacy drawing ridiculously-close-to-the-real-deal portraits of children that garnered many awards from local competitions as well as the attention of mostly anyone who encountered his creative presence. As his peer, I can attest to the fact that we were all jealous of his incredible rendering skills as well as his buckets of blue ribbons. But as the years passed, the jealousy (for most of us….I think) grew into a deep respect for his huge talent, not just when it came to replicating real life, but also as a designer and innovative thinker. It is no surprise, then, that after four years of particularly hard work and dedication at The School of the Art Institute of Chicago, and many more years of work preceding college, Sam has finally graduated and entered the workforce with a degree in Fine Arts & Object Design. No longer a boy with a knack for drawing babies, but a man who’s (incredible–we’re sure) career stretches ahead of him, full of possibilities to change the world we live in. Maybe it will be a new phone in your pocket, or perhaps a revolutionary pair of shoes…who knows. All we know is he’s going places and we are proud to say he’s an alumni. Congratulations, Sam! We can’t wait to see what you come up with! I’m thoroughly honored and undeserving. But I’m proud to stand among a rare, brilliant community of some brilliant students of a brilliant teacher. I must echo Emma: I can’t wait to see what you imagine up in the next few years! Thank you for your comments, I agree that Sam is a very talented artist/designer. He has a bright future ahead of him and I look forward to seeing where is artistic vision will take him in 2014. Feel free to check out our classes and sign your twelve year old up and experience the magic of creating in the studio.